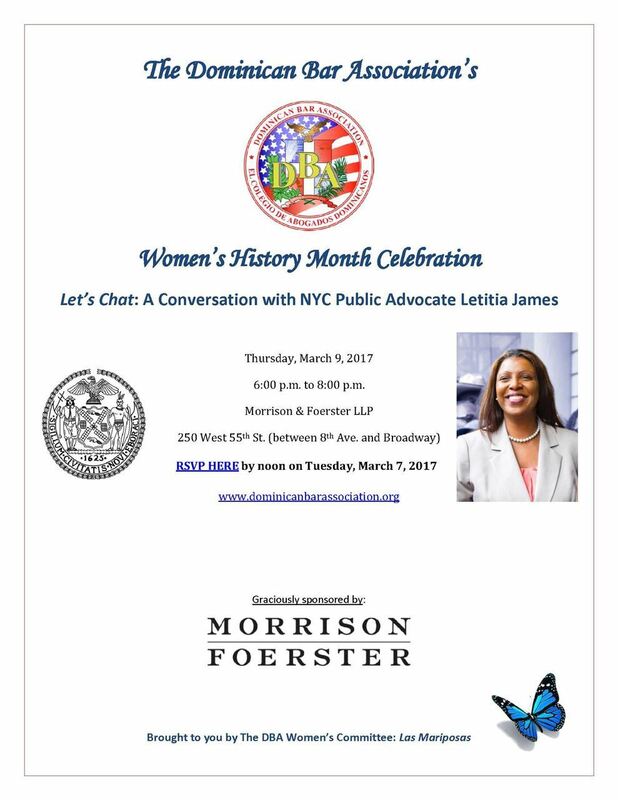 In commemoration of Women’s History Month, The DBA held its first Let's Chat event of 2017 at event host Morrison & Foerster, LLP featuring NYC Public Advocate Letitia James. It was also the inaugural event by The DBA's Women's Committee: Las Mariposas. DBA Treasurer and Director Edda Santiago served as moderator and ask the "tough questions" about the role of the public advocate, protecting immigrants in NYC, achieving diversity in the legal profession as well as in the public school system, salary history ban and its potential impact on the wage gap, how to run for office, why it's important for women to run for NYC Council, among many other topics. This event is graciously sponsored by Morrison Forester LLP. 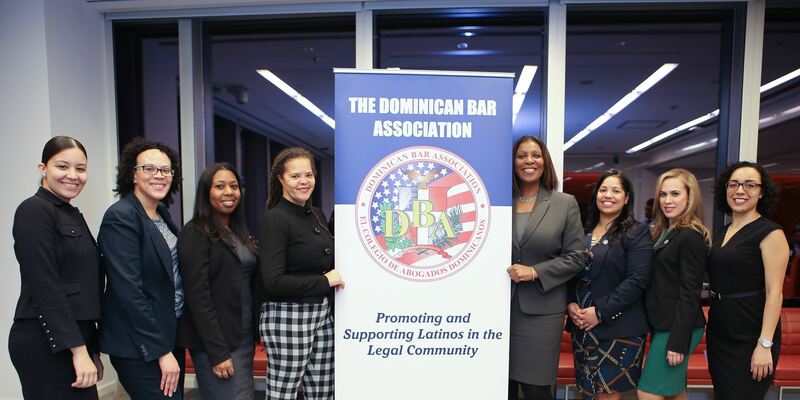 In 2016, DBA past president Queenie Paniagua launched the Let's Chat series, where prominent individuals of color within the legal profession discuss their experiences in a more candid and safe setting. In 2017, the DBA's Let's Chat series was recognized by the New York State Bar Association with a "Bar Leaders Innovation Award."